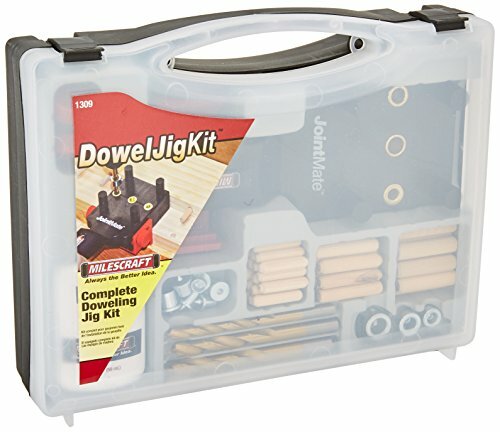 Milescraft® 8-piece Dowel Tenon Center Set contains two each of the most popular dowel holes sizes. 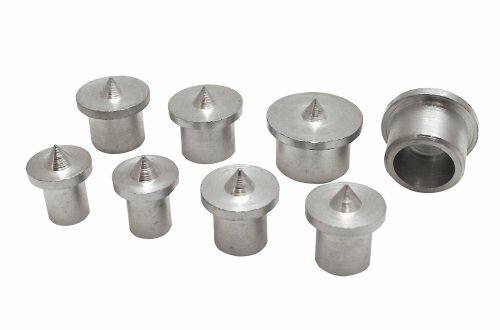 These dowel centers allow you align dowel holes in drilled parts to accurately mark drill location in mating material. 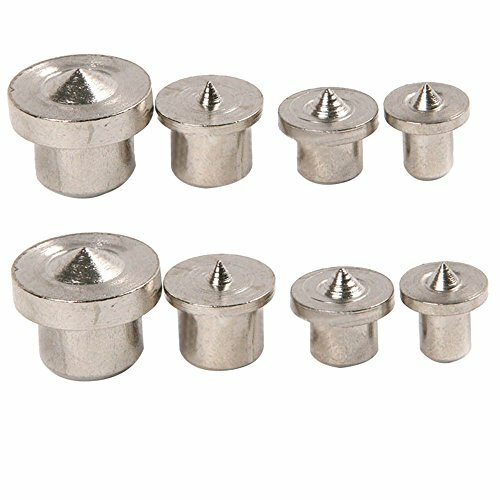 Next larger size dowel centers slip over dowel pins and round tenons to precisely mark location for dowel holes for proper assembly. 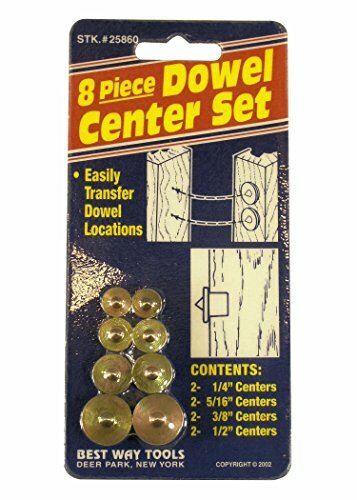 BWT 25860: 8-piece Dowel Center Set: contains two each of the most popular dowel holes sizes (1/4", 5/16", 3/8", 1/2") These dowel centers allow you align dowel holes in drilled parts to accurately mark drill location in mating material. Next larger size dowel centers slip over dowel pins and round tenons to precisely mark location for dowel holes for proper assembly. 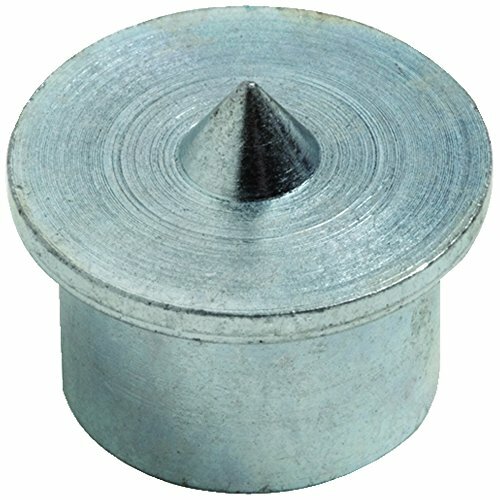 Climax Part TC-038-10, Drill Center for Dowel and Tenon, 5/16 inch ID, 3/8 inch OD, 10 piece pack. 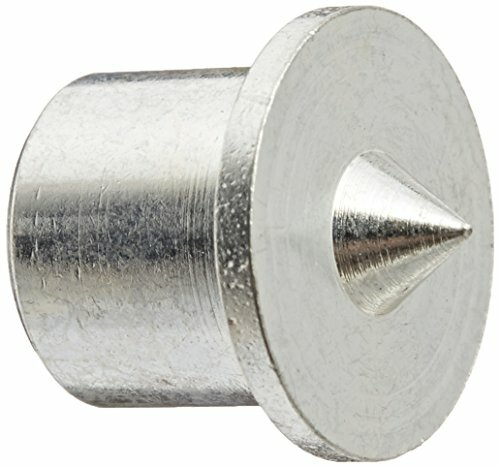 Climax Part TC-014-10, Drill Center for Dowel and Tenon, 3/16 inch ID, 1/4 inch OD, 10 piece pack. 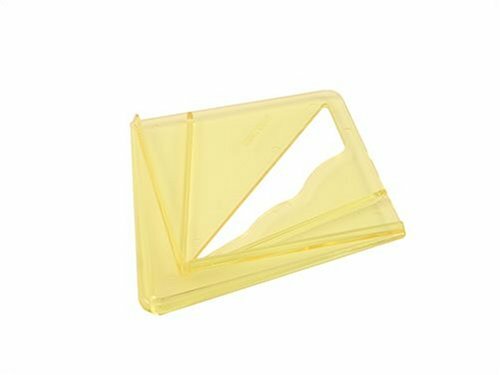 A simple yet effective tool. 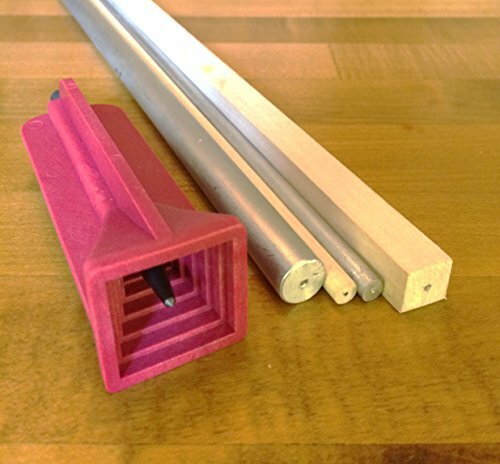 Place on your wood stock to quickly find the center. 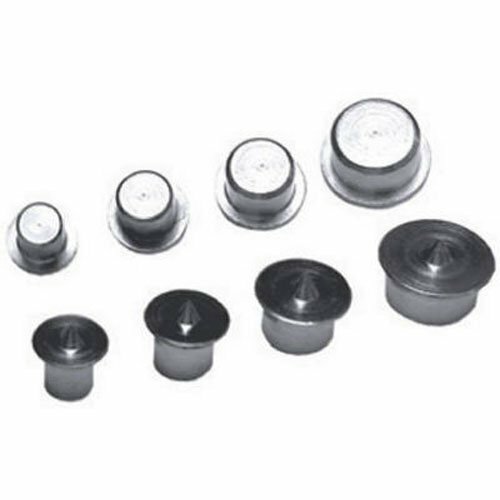 Climax Part TC-516-10, Drill Center for Dowel and Tenon, 1/4 inch ID, 5/16 inch OD, 10 piece pack.